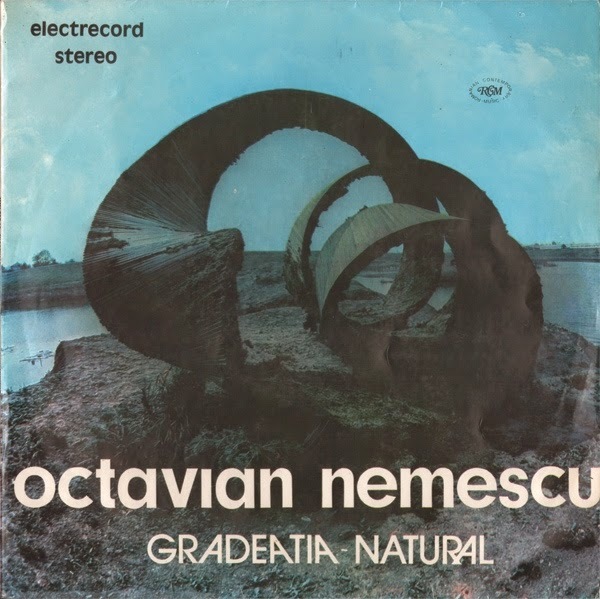 Octavian Nemescu (b. March 29, 1940, Paşcani, Romania). Esteemed Romanian composer of orchestral, chamber, choral, electroacoustic, multimedia, metamusic, and imaginary works that have been heard throughout Europe and elsewhere. Prof. Nemescu studied composition with Mihail Jora, harmony with Paul Constantinescu and orchestration with Alexandru Pascanu and Anatol Vieru at the National University of Music in Bucharest from 1956-63. Much later, he earned his DMus in musicology at the G. Dima Conservatory in Cluj-Napoca in 1978. His honors include the Aaron Copland Prize (USA, 1970), six prizes from the Romanian Composers Union (1970, 1981, 1984, 1987, 1992, 1995) and two prizes from the Concours International de Musique Électroacoustique de Bourges (1980, 1982). He has also earned the Prize of the Romanian Academy of Arts and Sciences (1981) and the Prize of the International Confederation for Electroacoustic Music (ICEM) (1985). His music has been performed throughout Romania, as well as in Australia, Austria, Belgium, Finland, France, Germany, Hungary, Israel, Italy, Japan, Moldova, The Netherlands, Poland, Spain, and Switzerland, and has been broadcast throughout the world. Prof. Nemescu initially taught at the University of Brasov, where he was an assistant from 1971-74 and a lecturer on analysis and counterpoint from 1974-78. From 1978-90, he was a professor of counterpoint, harmony and music history at the George Enescu Art High School in Bucharest and since 1990, has been Professor of Composition and doctoral advisor at the National University of Music in Bucharest. Dla mnie te dwie kompozycje to przejmujące wycieczki w poszukiwaniu ponurej tajemnicy, kruche istnienie na styku poznania czegoś, w czym wyczuwalna tragedia i strachu przed tym, co może nastąpić gdy zbliżymy się jeszcze odrobinę. To, coś, co doświadczone w skupieniu i ciemnościach odczuwa się niemal fizycznie. Przejmująca sztuka. Przy okazji spojrzenia w stronę Rumunii zwrócę uwagę na płyte Rodion G.A "The Lost Tapes" Myślę, że to coś, co Świętych może zaintrygować.